The history of the Christian church is far more than a dull list of dates. This brief summary will whet your appetite to discover more about the story of Christianity. In this concise, accessible guide, author Christopher Catherwood takes his readers through the history of the faith, educating them about the uniqueness of Christianity from its birth to the diverse, global Evangelical Church we know today. 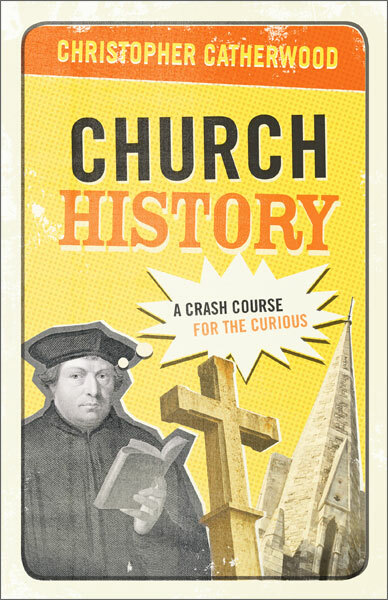 Church History is the perfect place to start for anyone who wants to know where to begin this quest for knowledge. Enjoy discovering more about the lives of men and women from various times and places, not only to better understand the church, but also to know how to live wisely in this age. These are some of the many reasons why history is so important. From those who desire to learn more about their fellow followers of Jesus Christ throughout history to those who want to learn more about church for themselves, this book will test you to dig deeper in your faith. Christopher Catherwood, a tutor for the Cambridge University Institute of Continuing Education and an instructor at the University of Richmond’s School for Continuing Education, has written and edited more than twenty-five books, including Five Evangelical Leaders, Martyn Lloyd-Jones: A Family Portrait, and Christians, Muslims, and Islamic Rage. He holds degrees from Cambridge and Oxford in modern history and resides in Cambridge with his wife, Paulette.